There is Trouble at the Toy Factory and the Ball Department is working overtime. Help them out by sorting the balls plummeting out of the ball making machine into their proper containers! Balls fall faster and faster the better and longer you play. How long can you do the work without fail? 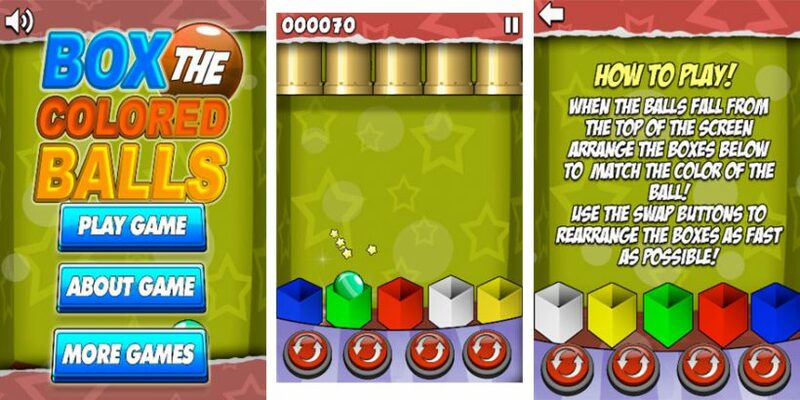 Press the buttons at the bottom of the screen to swap rearrange the boxes so that they catch the corresponding colored ball!